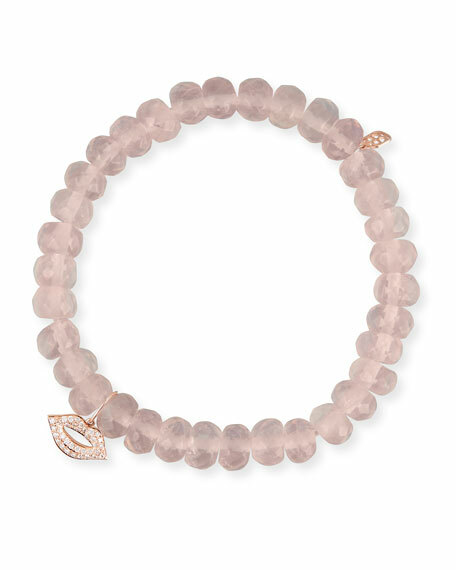 Sydney Evan bracelet with diamond lips. White diamond pavé open lips charm. 8mm faceted rose quartz rondelles.